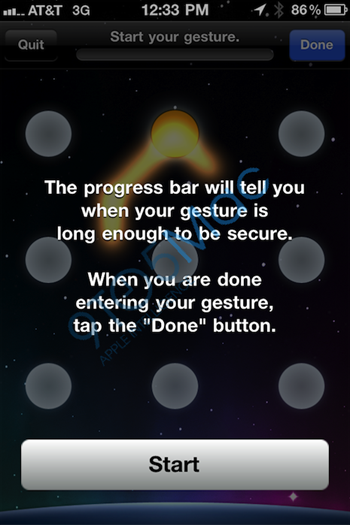 iOS 5 to Bring Android-Like Gesture-based Lockscreen to iPhone, iPad and iPod touch? Apple is working on a new gesture based lockscreen, which will work similarly to the dots screen pattern found on Android devices. Currently, iOS users have to slide-in and enter a password (if enabled) in order to unlock the lockscreen on device. 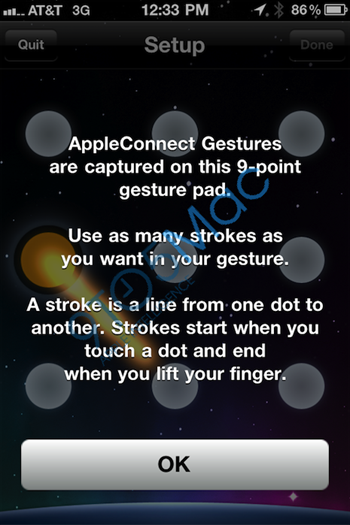 But if these screenshots, courtesy of 9to5Mac are anything to go by, Apple might introduce (possibly with iOS 5) this new gesture based lockscreen, where you will have to connect 9 dots in some custom specified way to unlock your phone. Currently, this new lockscreen is said to be in use internally at Apple by employees for testing. Oh and did I tell you that you can get this functionality on iPhone right now if you have jailbroken iPhone? 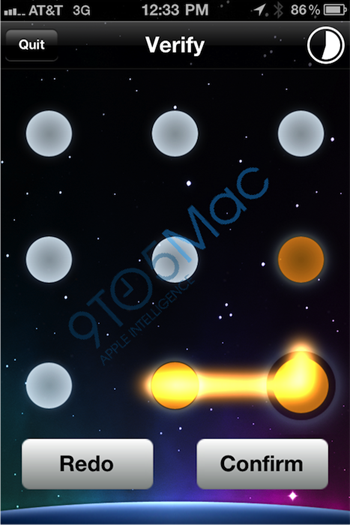 Simple head over to this link to get Android Style Unlock Screen Pattern for Jailbroken iPhone.